Many of our Kashmiri youth have mistakenly crossed the border over the years. In spite of the fact that these youngsters are our citizens, no government has made any attempts to get them back from Pakistan. If we cannot support the rights of Kashmiri youth to repatriate to their mother country, why are we shedding tears over people who belong to Pakistan? Are these Hindus not Pakistani citizens? By allowing them to stay in India, do we not risk spoiling our relations with our neighbors? These Pakistani Hindus will serve as ready manpower to serve in communal Hindu terrorist organizations such as RSS, Shiv Sena, Bajrang Dal, VHP etc. They will create disturbances between Indian Hindus and minorities. I think this is nothing but a Pakistani ploy to destabilize India. 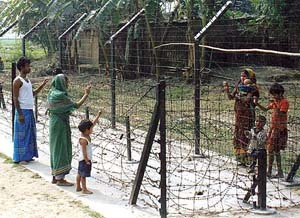 Bangladeshi immigrants are more needy and deserving of our attention. Many of them come from one of the most impoverished places on this planet. They need our help and support in the form of houses, ration, cars, ACs etc. These Bangladeshis have never experienced even the basic luxuries, unlike Pakistani Hindus who come from Havelis and have historically been the landowning caste in Pakistan that has oppressed the economically weaker sections. Clearly, Bangladeshis need our assistance more. Modi government is deliberately fanning the flames of communalism by trying to import Hindu foreigners to upset India’s delicate secular balance. It is trying to inflate Hindu numbers artificially to buttress its claim that India is a Hindu nation. 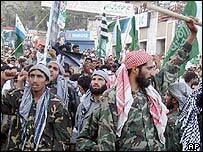 These Pakistani Hindus have no sense of cleanliness and hygiene and create slums wherever they go. This is a blot on our nation’s capital. Azam Khan- Hindu terrorists beat up one minority member in J&K Assembly a few days ago. There was no outcry from media. Yesterday, the same minority member was attacked by Hindu fanatics in Delhi. This too has failed to get strong condemnation from the nation. That is why minorities are not safe in India. That is why I had to raise the issue of protection of minorities at the UN. And I stand by my decision. Minorities need protection from Modi government that is hell bent on straying us from our faith and converting us to Hinduism. That is why the whole brouhaha on Beef eating. I want to tell all my secular Hindu brothers that lies are being spread on the issue of Beef. It is only the RSS and VHP people who don’t eat Beef. From Vedas to Upanishads to Bhagwat Gita, all extol virtues of Beef eating. In fact, centuries ago, a piece of Beef used to be put in the mouths of new born Hindu babies as a sign of good omen. 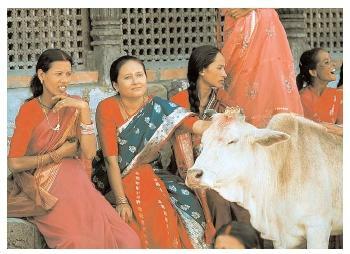 Cows used to be sacrificed during ceremonies and Beef used to be served openly. It is only in the recent times that Beef eating was made taboo by Brahmins of VHP and RSS. It is time that secular Hindus see through their nefarious designs and foil their motives. I strongly recommend that every secular Hindu sacrifice a cow during Navratras to prove his loyalty to secularism. Not doing so would only embolden the government which may tomorrow ban even meat, chicken or even milk. All secular Hindus must unite in consuming Beef. This festive season, we must throw beeef parties to make our opposition to the government’s plans clear. Let us tweet #Cowisnotmymother till it reaches Modi’s ears.